For the second straight game, the Roadrunners fell to the Bakersfield Condors by a 3-1 score at Tucson Arena. Bakersfield extended its win streak to eight games with the win, which is the longest current of such in the entire American Hockey League. Tucson has now dropped consecutive games on home ice for just the second time this season. Despite outshooting the Condors once again, the Roadrunners were unable to solve Shane Starrett to match Bakersfield’s scoring output, which lately, has been among the most consistent in the league. 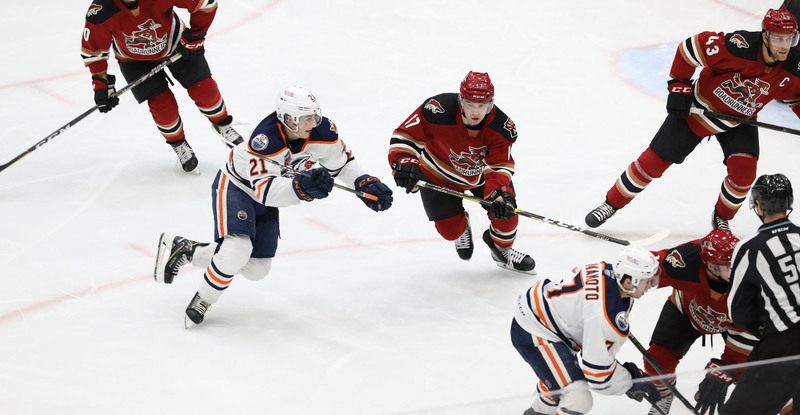 The most critical point of the day came in the early stages of the second period when the Condors broke a scoreless tie to net two goals in 23 seconds to take a sudden 2-0 lead. Just over two minutes after Bakersfield’s second goal, the Roadrunners would scratch back, Adam Helewka netting his 12th of the year to cut the score to 2-1 with 12:45 left in the middle frame, also giving him 30 points on the season. Laurent Dauphin and Kyle Capobianco assisted on Helewka’s goal, which tied him for the team lead in that department. Adin Hill stopped 20 of the 22 shots he faced, suffering his fourth loss of the season. Valiant efforts in the third period would not earn the Roadrunners a game-tying goal; they outshot the Condors 9-7 during the final 20 minutes of play. The Condors would score an empty-net goal with four seconds left in regulation to all but secure the win. 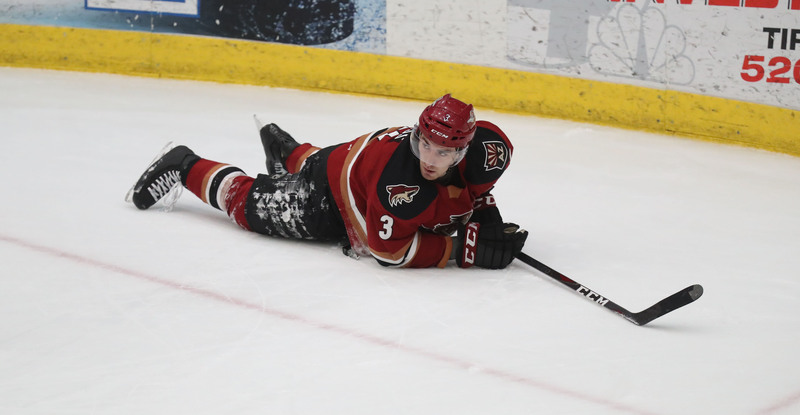 Following the All-Star break, the Roadrunners will host the Colorado Eagles for a two-game weekend series which is set to begin on Friday night at Tucson Arena, where the puck is scheduled to drop just after 7:05 PM.